It was the late Richard Burton, speaking in the 1960s, who described rugby in Wales as a game of great lies and huge exaggeration. 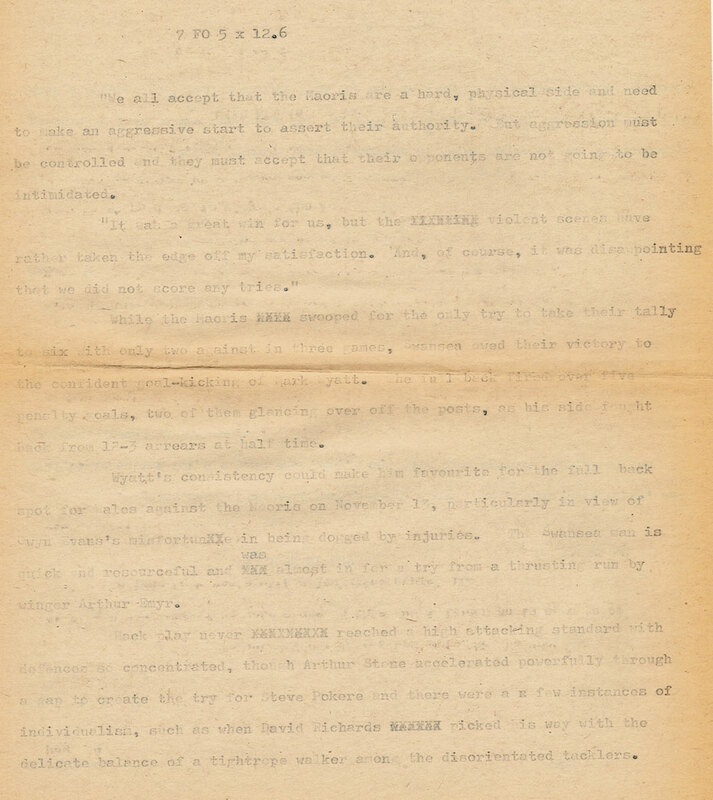 He was referring to the almost universal boasts among Welshmen, young or old and, so he said, himself included, of having played for or at least featured in a final trial for their country. That many were able to get away with such exaggeration was down to the fact that rugby had never enjoyed the massive statistical back-up of games such as soccer or cricket, and that therefore most rash claims could neither be proved nor disproved. 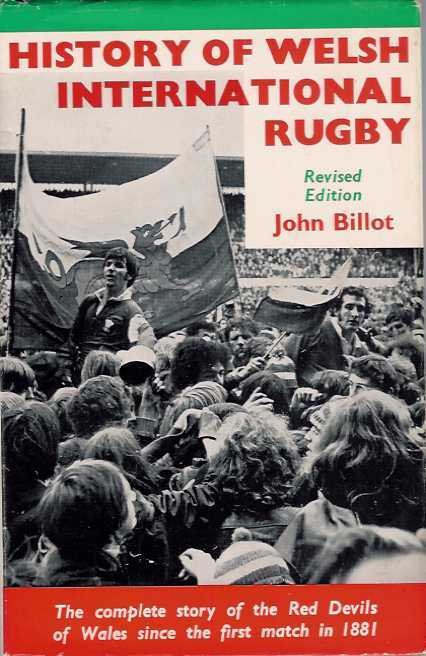 The writer who did start to put rugby’s facts and figures onto a firmer footing was the Cardiff Western Mail’s John Billot. 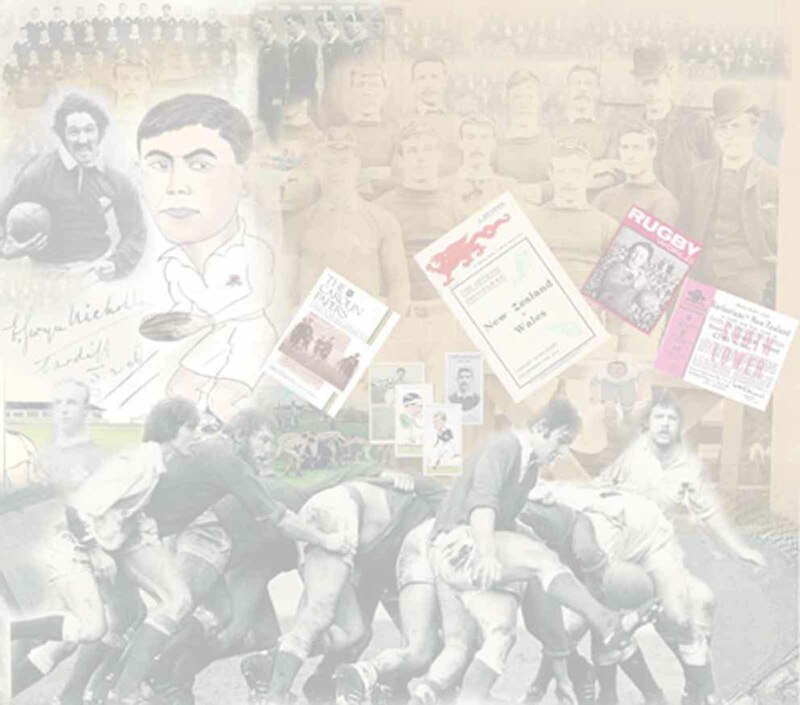 In the 1960s, as an integral part of the team built up under JBG Thomas, he began spending his lunchtimes across the road from the Mail’s main offices in the city’s main library tracking down the ancient deeds of the legendary players of Wales’s rugby past. 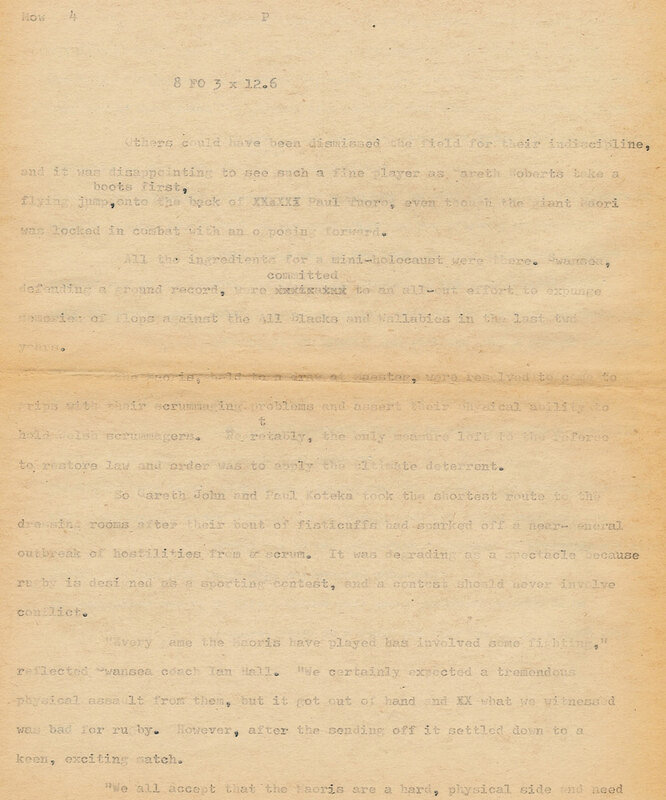 Over a period of two or three years he systematically searched the massive bound volumes of The Times and Western Mail kept in the library’s vaults. The fruits of his labours were realised in the autumn of 1970 with the publication of his magnum opus, History of Welsh International Rugby. It was a volume that quite simply gave details with lively, concise write-ups of every Welsh cap match since the original rout by England at Mr Richardson’s field in Blackheath, in 1881. 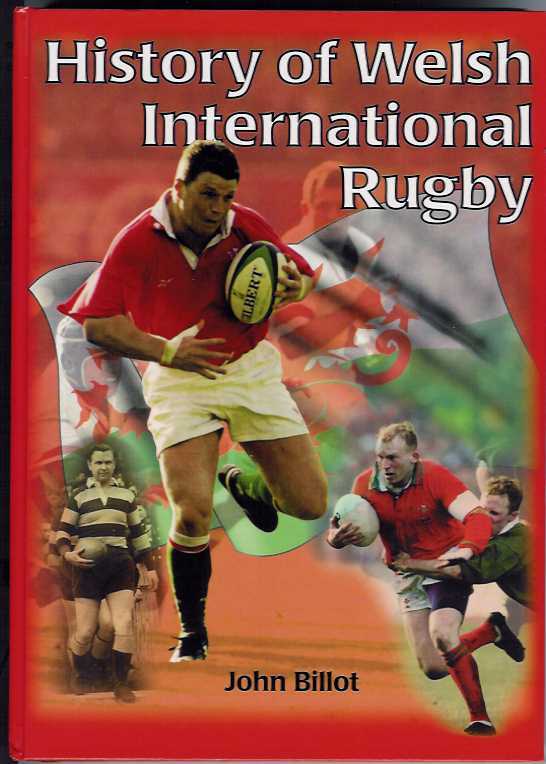 It was a treasure trove of facts and figures for those interested in Welsh rugby, and a fascinating read for those interested in the development of the Principality’s main sport. So poorly had the game been served statistically up to then that only three years earlier, when Keith Jarrett made his astonishing debut at Cardiff in the famous 34-21 win against England, journalists had had to rely on their memories to state that Jarrett’s 19-point haul was a record for an international match. 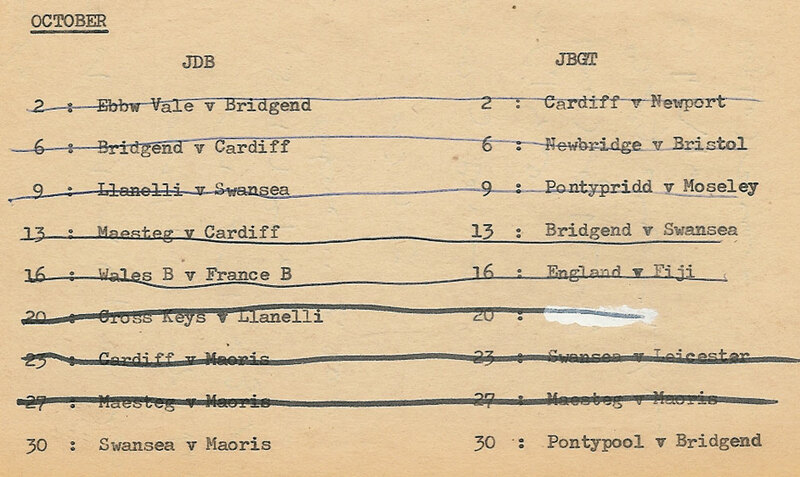 Billot’s researches, however, showed otherwise: had not the Swansea full back Jack Bancroft also scored 19 points for Wales against France back in 1910 in the first-ever Five Nations Championship match? 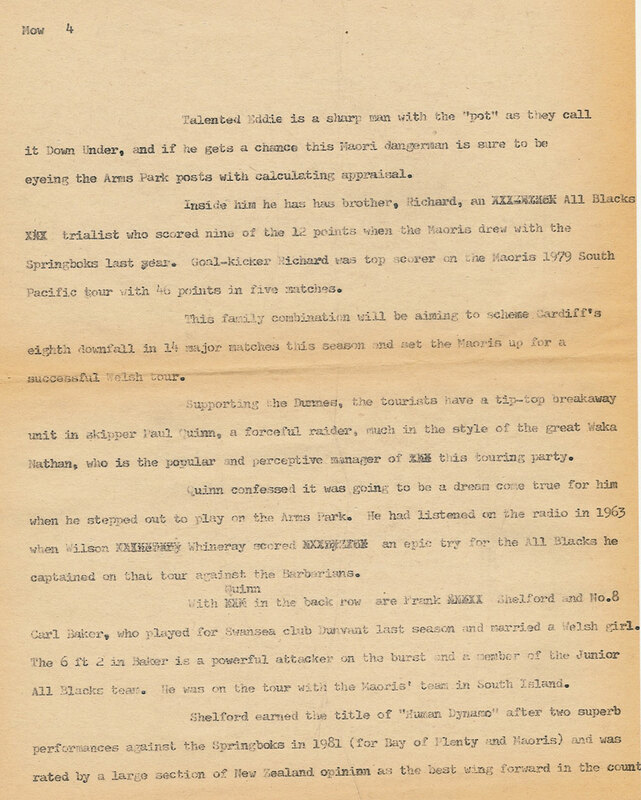 They say that imitation is the greatest form of flattery, and within a few years of Billot’s path-finding work rolling off the presses similar match-by-match histories had appeared for each of the major rugby-playing countries. Arguably the most impressive “imitation” was the deluxe leather-bound volume on New Zealand rugby produced by Rod Chester and Nev McMillan in 1977. 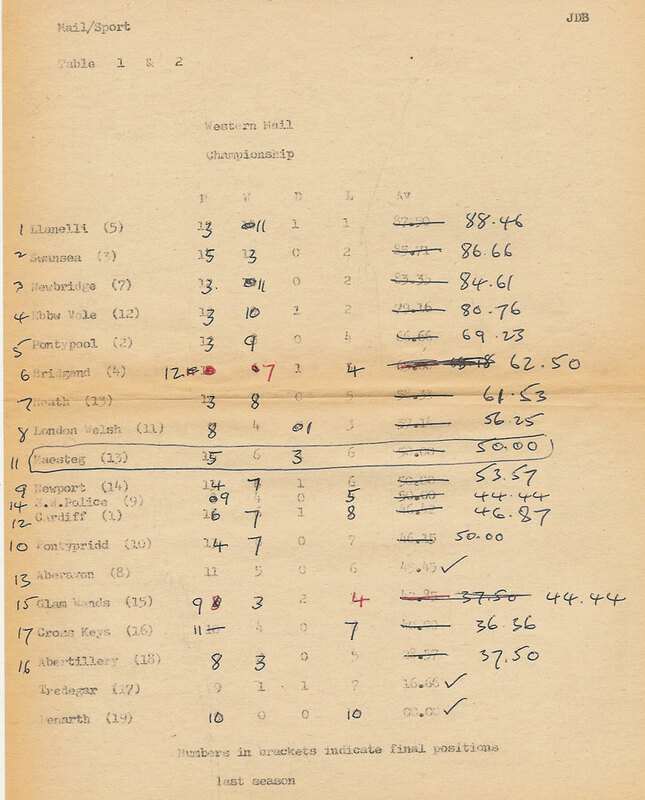 Their tome, Men in Black, was a more expansive (and expensive) creation, but the style adopted was unmistakeably that of Billot’s: match number, result and opponents; date and venue; report, teams and scorers. 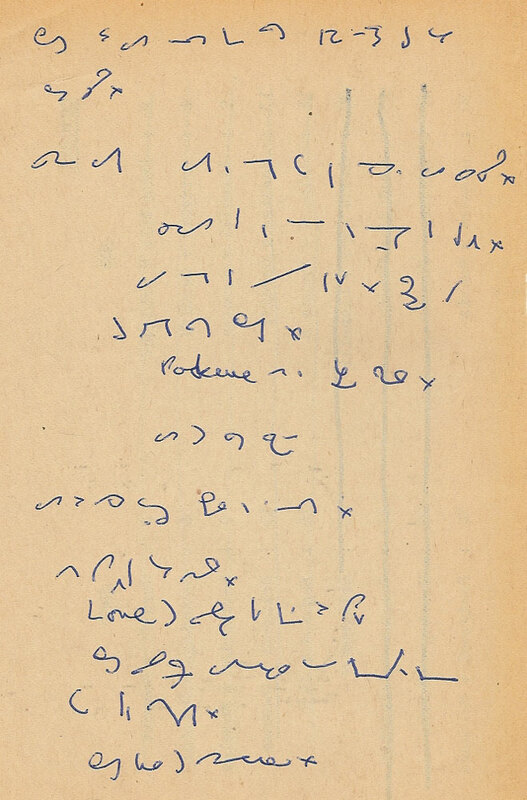 In later years Rod Chester always maintained that the Welshman’s volume had been his and his co-author’s inspiration. 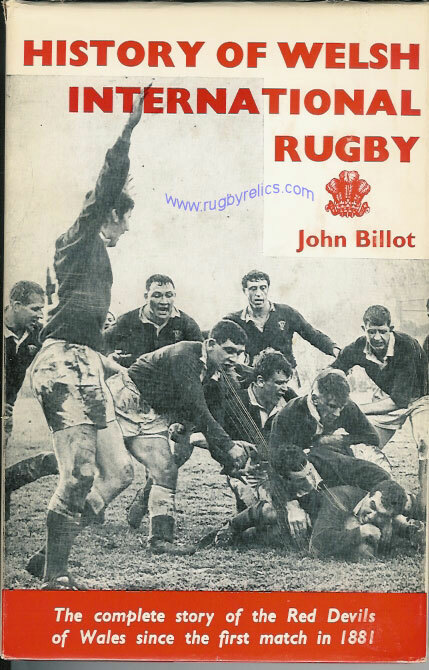 John Billot’s legacy was a heightened awareness among rugby followers of the game’s records and the great players’ achievements. The Welsh history was quickly updated into a second edition a year later, after another Welsh Grand Slam was won by Gerald Davies, JPR Williams, John Taylor, Barry John, Gareth Edwards and the rest of that 1971 team of all the talents. 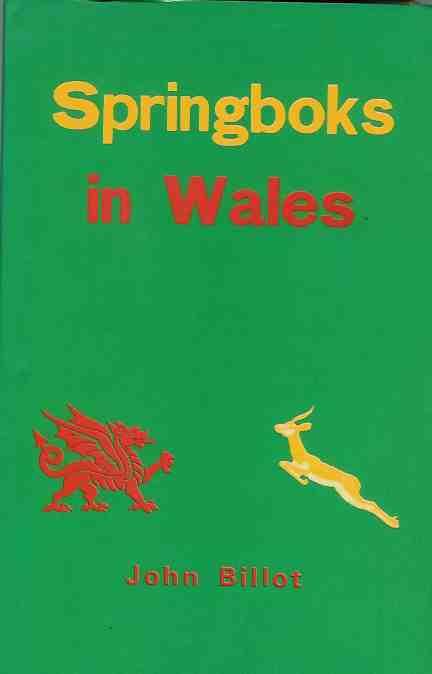 He also produced two interesting volumes on the All Blacks and Springboks tours of Wales with forewords by two of rugby’s greatest names, Cliff Morgan and Dr Danie Craven. 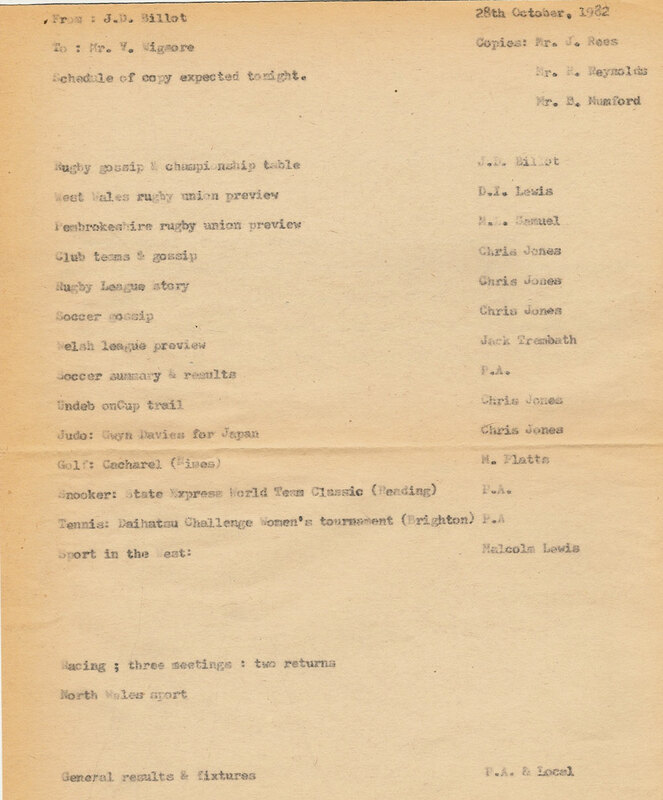 Then, when Rothmans added rugby union to their growing list of sports yearbooks in 1972 he was the man entrusted with recording the game in Wales. 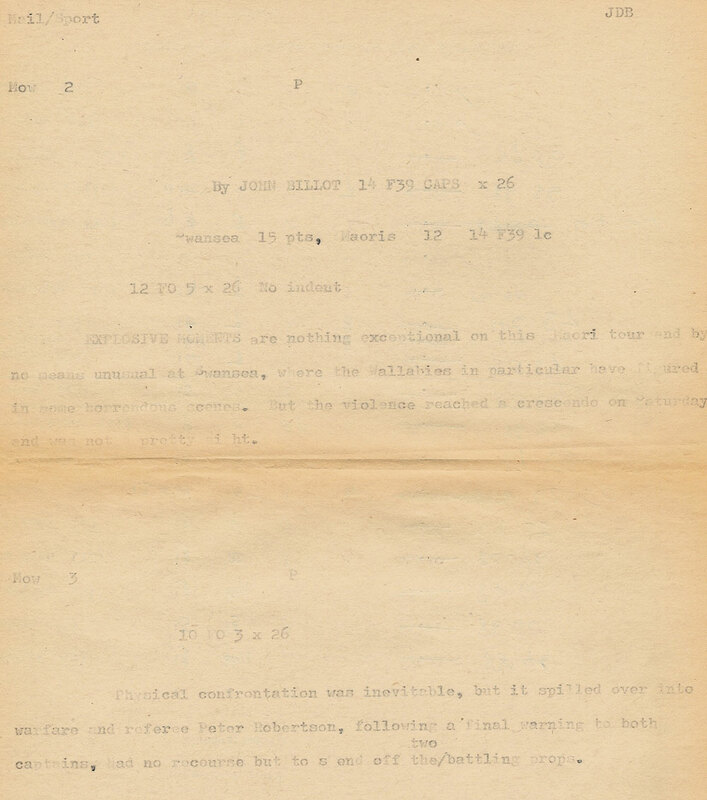 When that annual’s editor, Vivian Jenkins, began to expand statistical coverage in the mid-1970s, Billot provided chapter-and-verse for the Welsh sections. 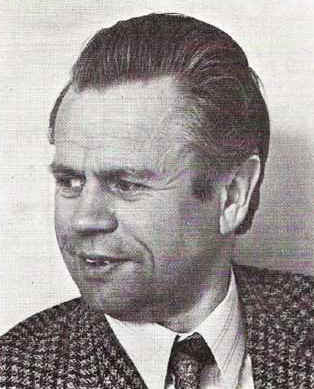 In fact, he was the yearbook’s Welsh correspondent throughout its 28-year existence, a record of service matched only by the Scot, Bill McMurtrie. Billot had joined the Western Mail from school in the summer of 1946, shortly after JBG Thomas had taken up duties as the paper’s rugby football correspondent. 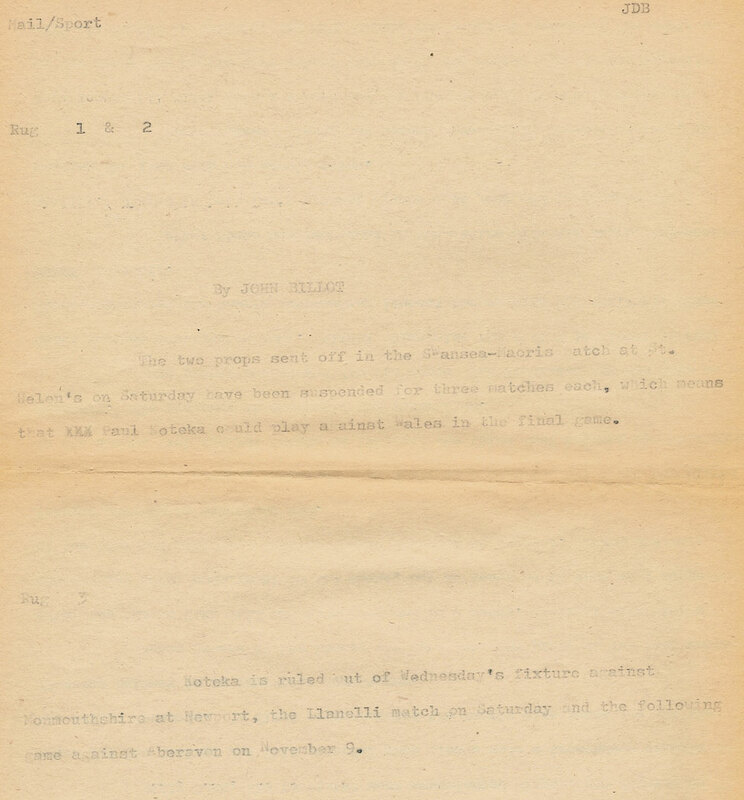 “I was the copy boy at the beck and call of the sub-editors,” Billot recalls. 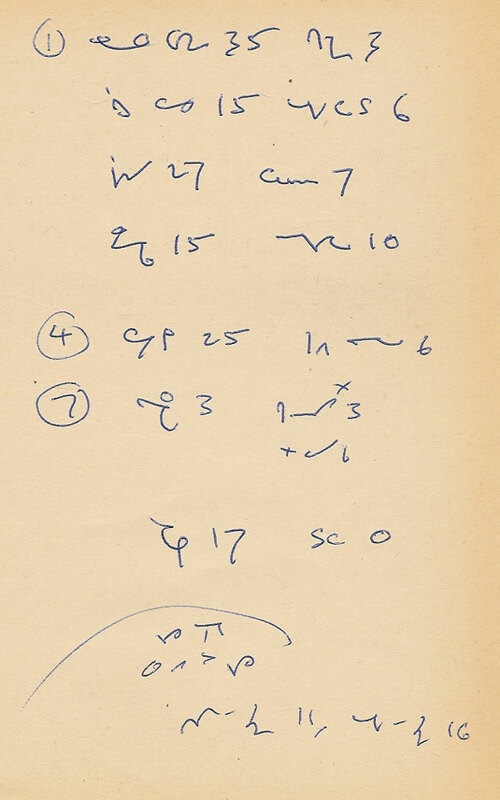 Within 18 months he was writing match reports at a time when sport in post-war Britain was attracting huge crowds. 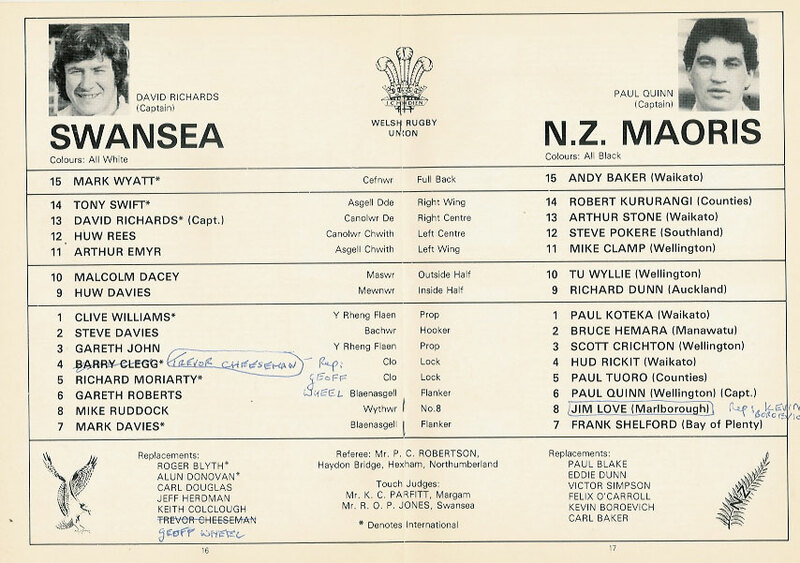 It was a happy era and the Cardiff players who emerged to carry Welsh rugby back to its heights – Bleddyn Williams, Jack Matthews and a little later Cliff Morgan – are still among his all-time favourite players. Williams contributed the thought-provoking foreword naming his favourite post-war fifteen to Billot’s updated version of the Welsh history, published in 1999. 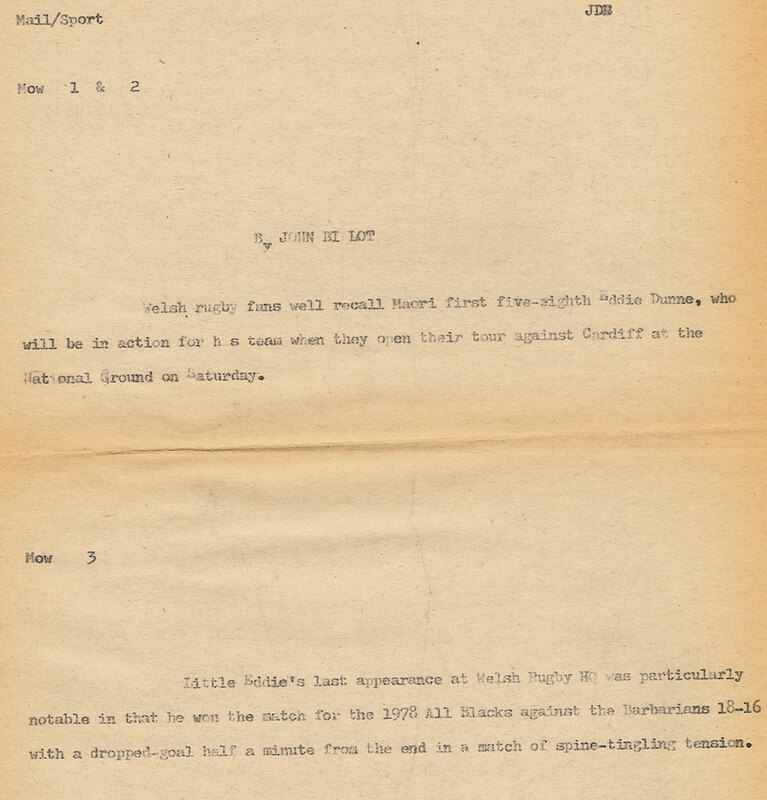 By the mid-1950s John Billot had become JBG Thomas’s right-hand man, often taking the chief rugby writer’s copy from the end of a telephone line. 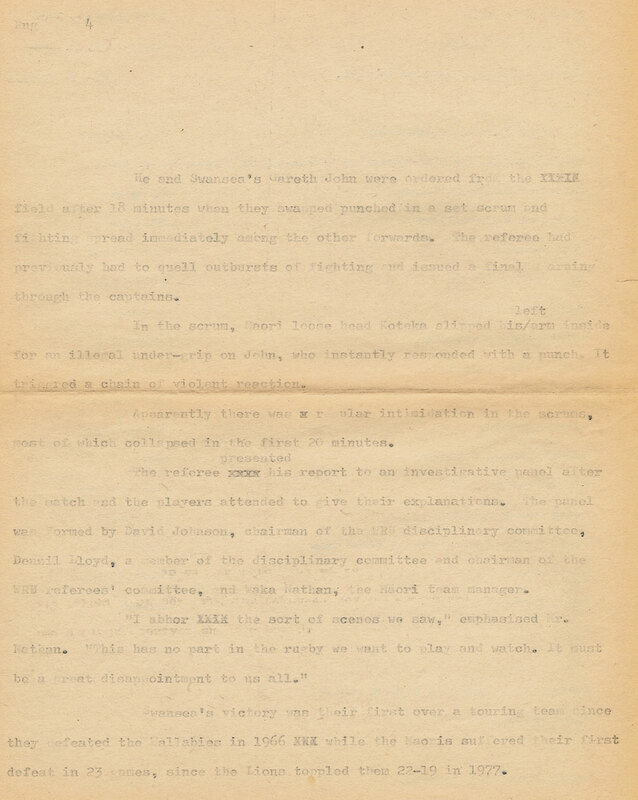 He also typed the manuscript for JBG’s first rugby book, the groundbreaking On Tour, and remembers vividly the telegram received from the publishers after delivery. 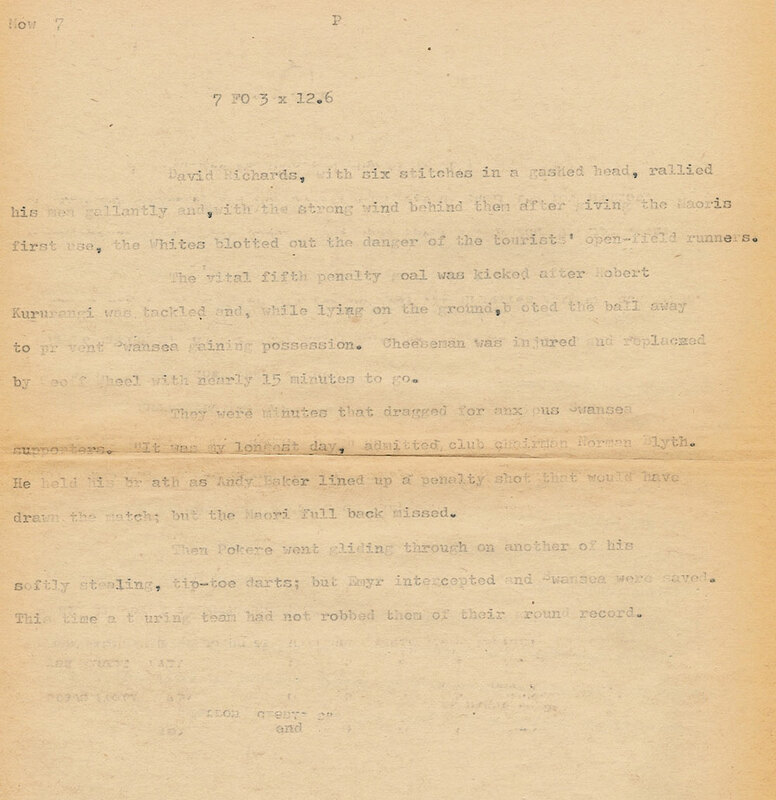 “There were just four words: ‘Staggered by the length’. 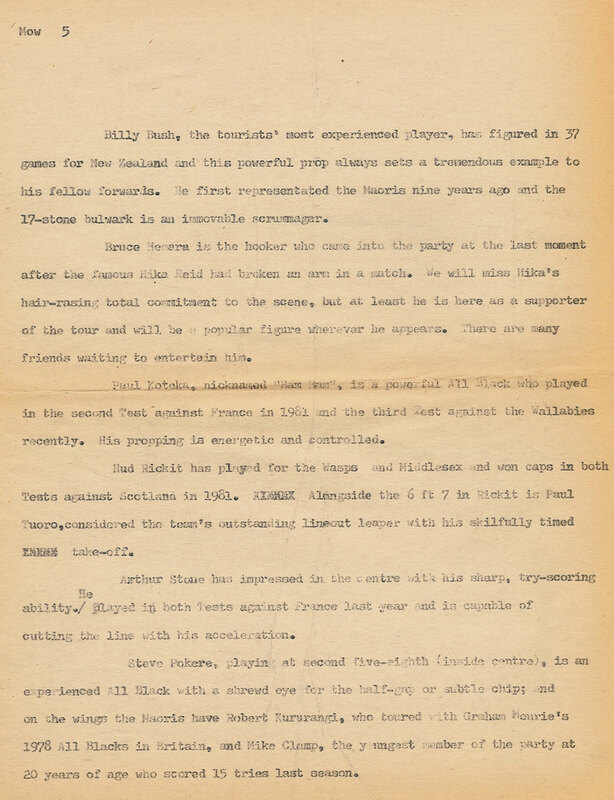 They cut it by half, but it was still a great read,” Billot recalls. The Western Mail had grown to a daily circulation of 100,000-plus in Wales by this time, and the office team that Billot headed behind the scenes and JBG led in the field was tight-knit, hard-working and successful. 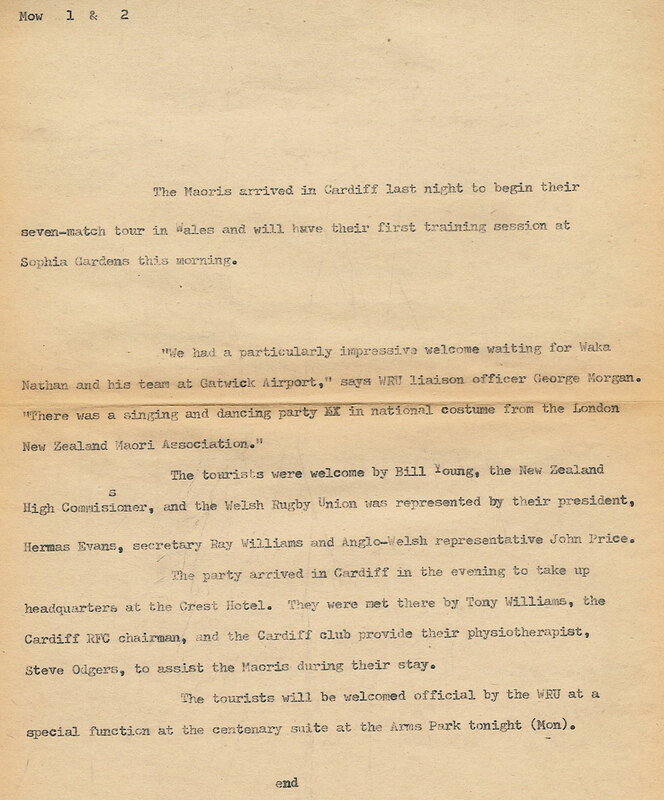 Welsh rugby, even if the national side did not always win the Championship when the French emerged as a force in the late 1950s and early 1960s, was always big news and played an important part in the newspaper’s growing popularity. “They used to let me out on Saturdays to report club matches,” Billot says. While JBG understandably led the Mail’s main match coverage, it was often from the lesser games that the up-and-coming players emerged. 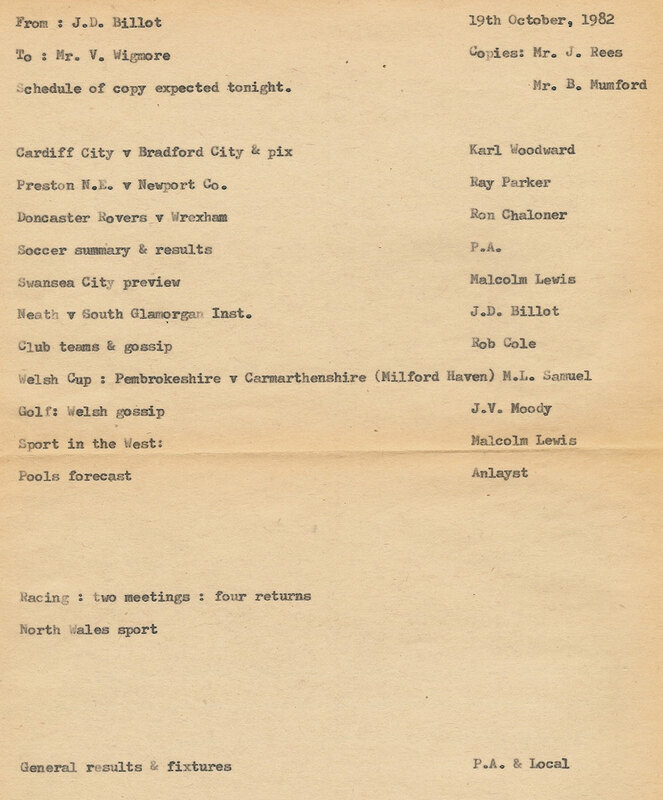 Billot covered some of the earliest first-class matches played by two of Wales’s finest fly-halves, David Watkins and Barry John, and urged his writing colleagues to go judge their skills for themselves. He was also a keen follower of Glamorgan’s fortunes in the County Championship and spent many summers reporting their progress for the Western Mail. 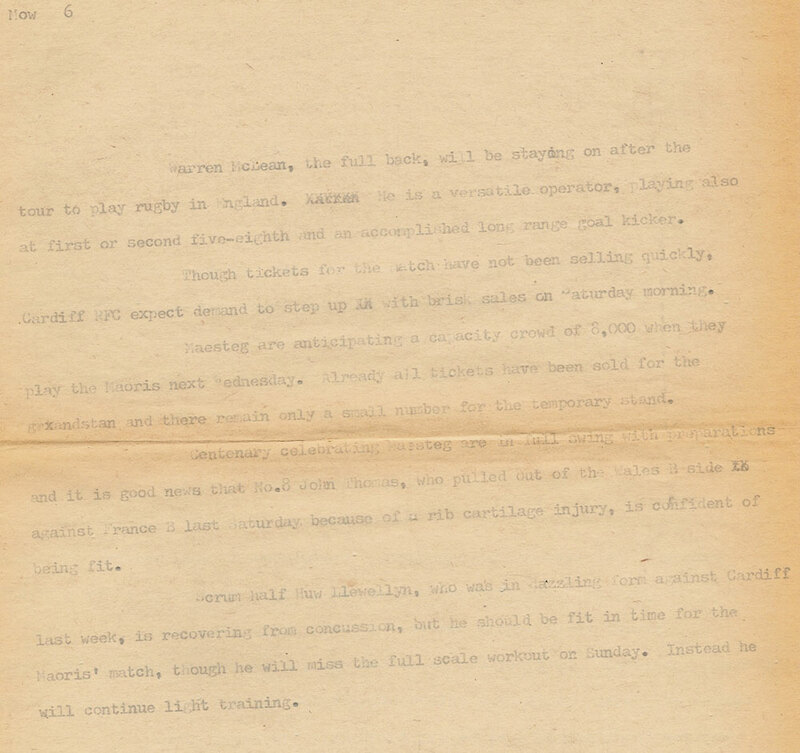 He wasn’t averse to a bit of fun and tells many amusing stories from his newspaper days. He once invented a hoax story purporting to come from JBG who was holidaying in Spain. JBG, so the spoof ran, had interviewed a bullfighter named Dom Stefano Gonzalez Jones of Welsh heritage. 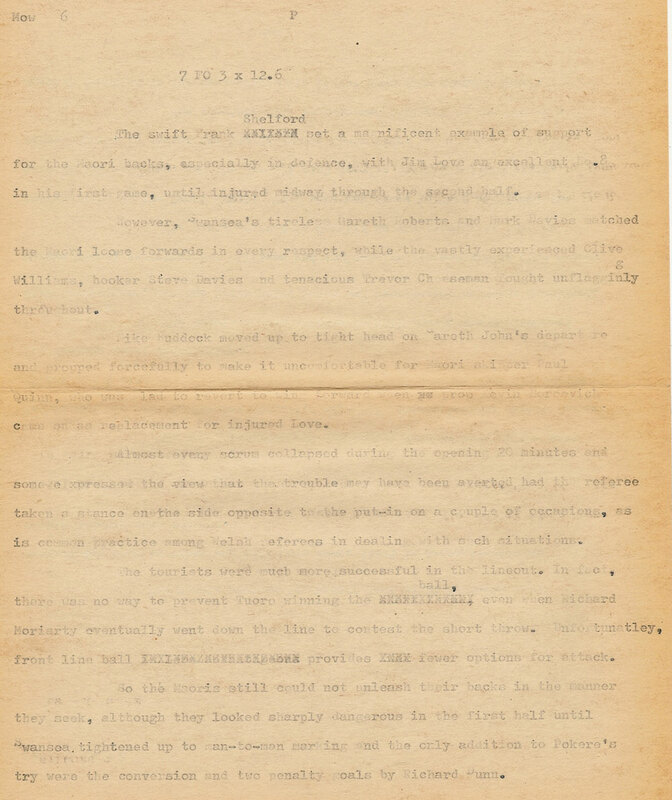 Billot ghosted the story that went on to tell how the sand used in the Pamplona rings was of the finest grained Mumbles variety. The Mail’s editor saw the story and wanted to run it immediately. 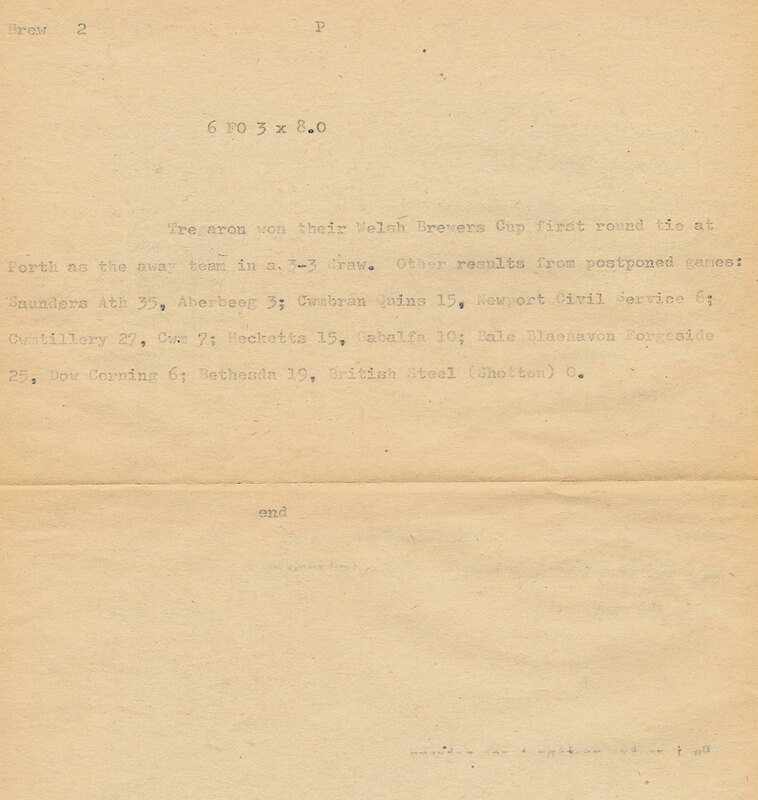 The paper didn’t of course and Billot was hauled over the coals. “It was the best story JBG never wrote,” he says. He succeeded Thomas as chief rugby correspondent and became Sports Editor of the Western Mail when JBG finally retired in 1982. “It was a close run thing between me and the office girl,” he says in his unassuming manner. He served several years before retiring himself. During his time at the helm of the sports pages several of today’s leading rugby correspondents cut their journalistic teeth on the Mail. Among these were Steve Bale (first with The Independent and now with the Sunday Express) and Chris Jones (with the London Evening Standard). Each retains the happiest memories and highest respect for the professional standards John Billot set. 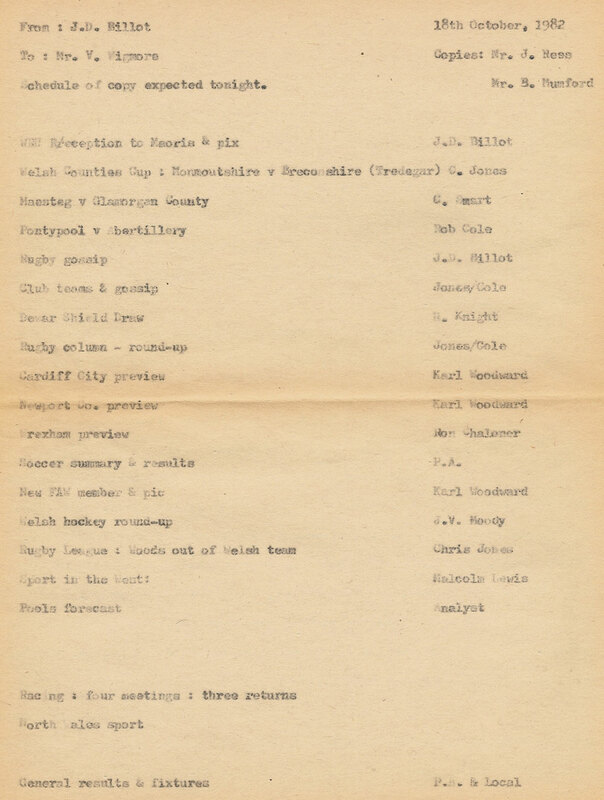 His own newspaper, though interested in the project, were unable to give substantial support, but at length he engaged the interest of Arwyn Owen, then sales promotion manager with Welsh Brewers Limited, and between them they have now produced 37 successive editions of Welsh rugby’s bible. 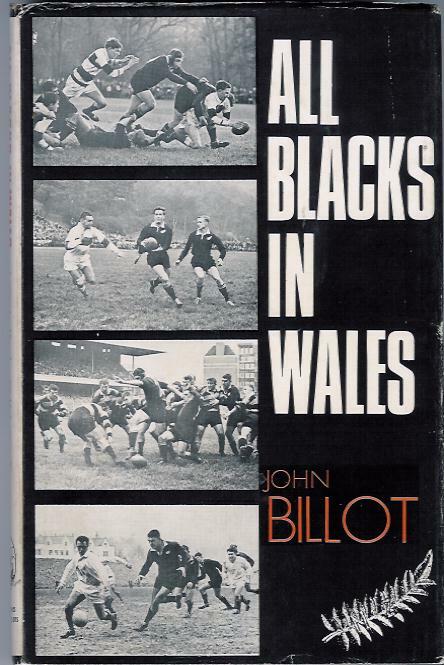 Richard Burton’s assertion could no longer hold with Billot and Owen’s massive record of Welsh rugby a part of the game’s literature. Indeed, only the Rugby Almanack of New Zealand (launched 1935) has enjoyed a longer continuous run. Sadly John passed away on 28th September 2009. The World Rugby Museum salutes his contribution to the history of Rugby Football. 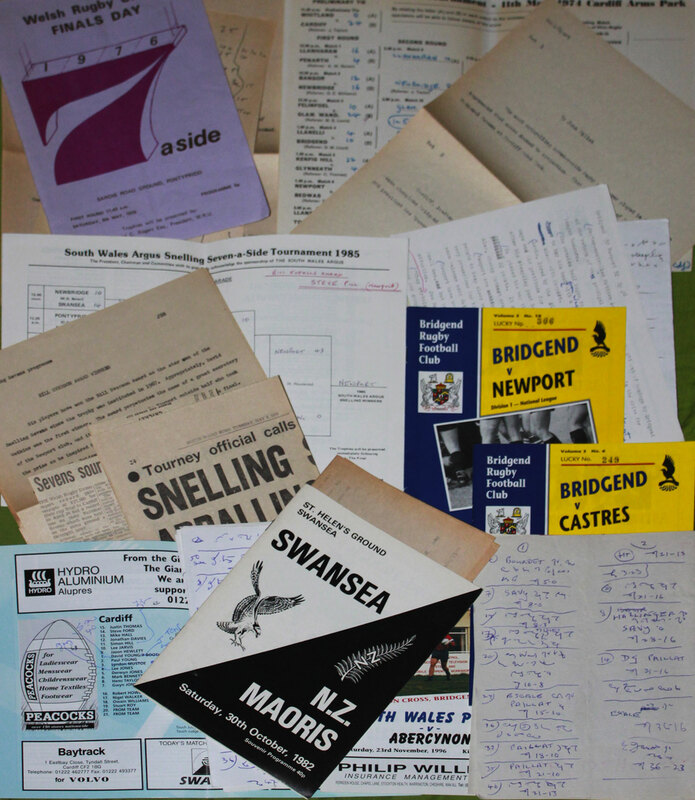 Snelling Sevens 1985, WRU Sevens 1974 & 1976, Bridgend v Castres 12/10/96, Bridgend v Newport 9/11/96, Cardiff v Dinas Powis 22/1/97, South Wales Police v Abercynon 23/11/96 & Swansea v Maoris 30/10/82. We've scanned the sheets which were included with the Swansea programme. It's interesting to note that John has used both sides of each sheet for different stories and/or admin tasks relating to his role as sports editor. Please see below for these.